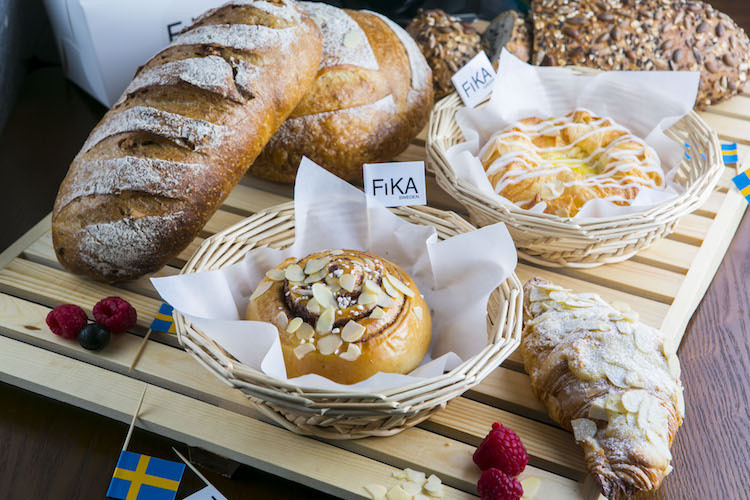 Among the recent slew of Nordic eateries incoming to Shanghai, FiKA bakery and café is the latest to arrive. It’s the first café venture of Valentina Chan, who spent her whole life living in Sweden and decided to come back to her Shanghai roots just a few months ago. She returned with the intention to share her affinity for Sweden’s desserts and baked goods. The result is lots of cute, detail-driven delights, some of which you won’t see inside other bakeries around town. You’ll find FiKA near the corner of Shaanxi Nan Lu and Fuxing Zhong Lu, a short jaunt from the metro stop. 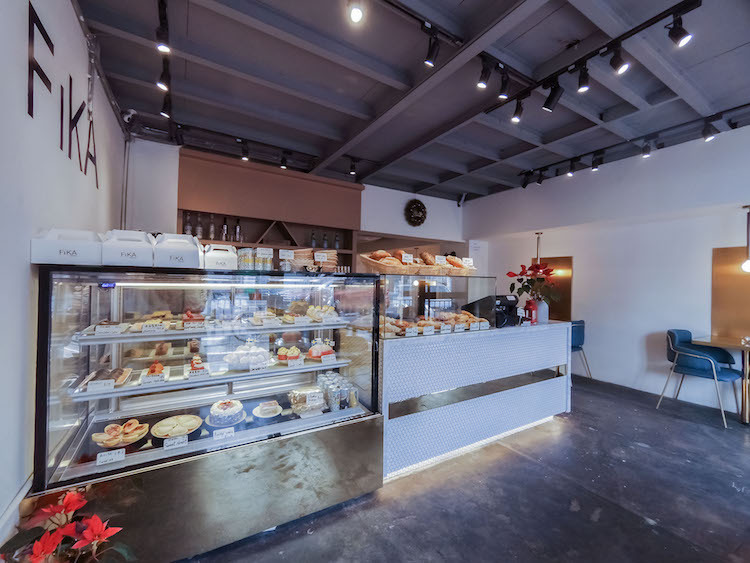 It’s a bright but simple space – a nice spot to park up with your laptop for a few hours while enjoying one (or several) of the many treats in the pastry case. 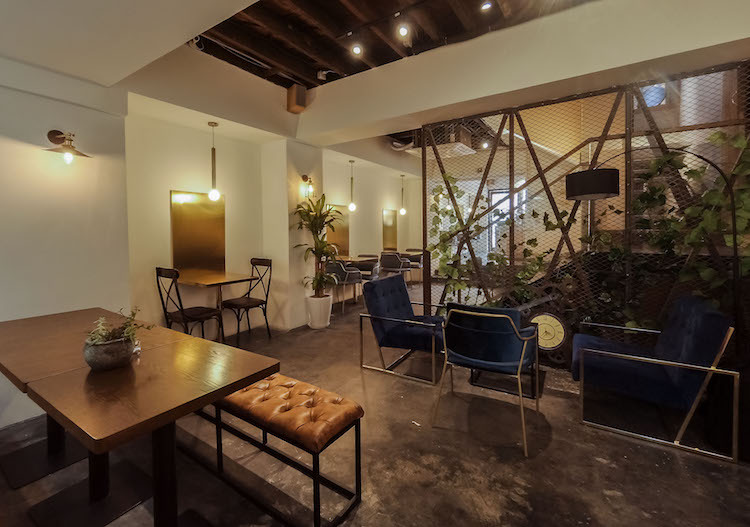 They’ve got the standard range of coffees (cappuccinos and lattes topped with those Instagrammable milk froth designs), plus some freshly made juice options in the 40RMB range. In the back, you can watch the pastry chefs work, thanks to a big glass window looking into the kitchen area. Most of what’s on offer here comes in the form of desserts and pastries, with a few ‘salty’ menu options mixed in – the warm ciabatta panini has good-quality salami and brie, making for a simple but satisfying affair, and on some days they do house-made savoury pies for 42RMB. The Swedish soft bread with ham and cheese (40RMB) also looks like one to try. But we really focus on the visually pleasing sweet stuff. The light, airy cinnamon roll (16RMB) has lots of spice without loads of sugar, which we enjoy, along with the flaky Weiner bread (18RMB), a Danish pastry that you may know as, well, a danish. 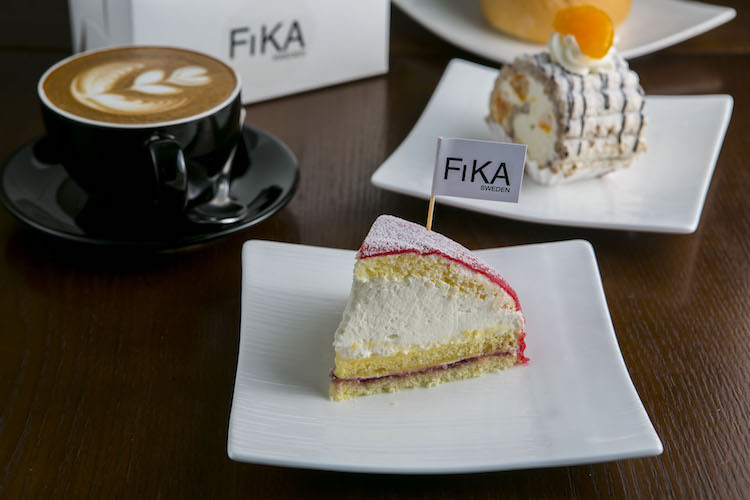 Other popular picks at FiKA include the Princess cake (38RMB per slice); layers of light cake with super fluffy cream filling and pretty pink or yellow marzipan shell; and the giant chocolate balls (10RMB each), reminiscent of a raw chocolate oatmeal cookie rolled in coconut flakes. We’ll certainly be back to sample the Swedish pancakes with raspberry jam and whipped cream (35RMB). 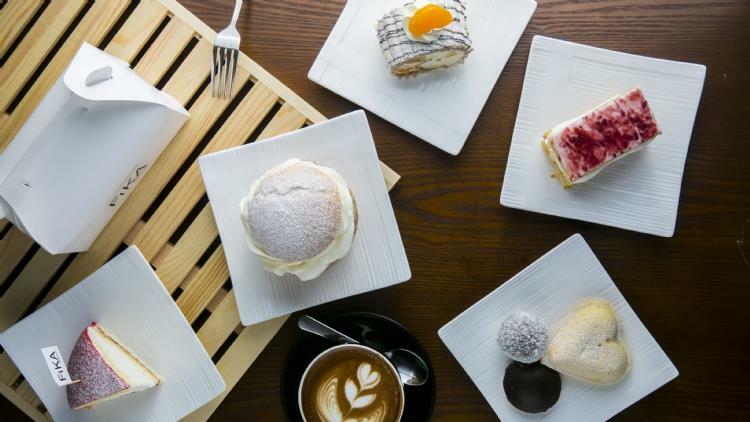 With Al’s Bakery, Pain Chaud, Bread Etc and others nearby, you may feel like you’ve already got your favourite bakery in the area, but FiKA is one to add to your list. 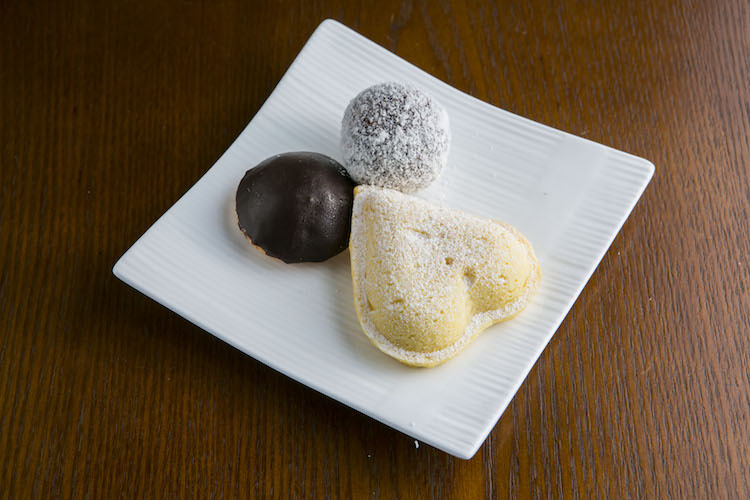 We’ve returned more than once for a couple of things: the Sweethearts (16RMB); rich, buttery heart-shaped crusts filled with a creamy custard flecked with vanilla bean; as well as the Biskvi (15RMB), a chocolate shell hiding a chewy almond paste base and silky coffee cream. FiKA is a welcome addition to the neighbourhood, and one we’ll keep returning to – both for the baked goods and its cheery environment. A nice start for Chan. We expect things will only get better from here.